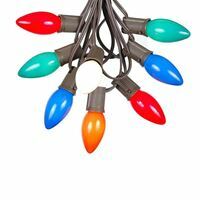 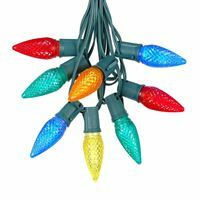 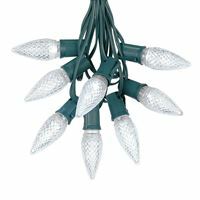 Buy heavy duty C9 light string sets perfect for Christmas, seasonal, or outdoor special event lighting. 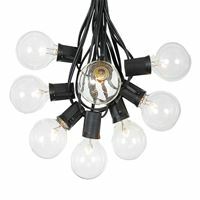 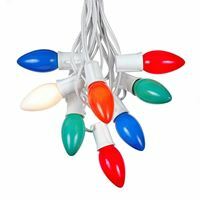 Our C9 light string sets include the bulbs and have 25 sockets spaced 12" apart making them 25' long. 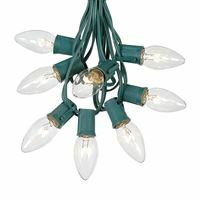 Our C9 string light sets are available with green, white, brown and black wire and transparent c7, ceramic c7, or G30 bulbs. 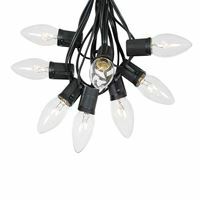 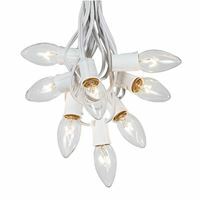 Complete all your decorating needs with ease using these high quality heavy duty c9 string light sets.